FRANKLIN LAKES, N.J.– BD (Becton, Dickinson and Company) (NYSE: BDX), a leading global medical technology company, today announced the launch of a new software application designed to help hospitals and health systems identify drug diversion at the 2018 American Society of Health-System Pharmacists (ASHP) Midyear Meeting. 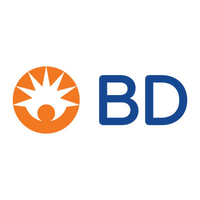 BD is one of the largest global medical technology companies in the world and is advancing the world of health by improving medical discovery, diagnostics and the delivery of care. The company supports the heroes on the frontlines of healthcare by developing innovative technology, services and solutions that help advance both clinical therapy for patients and clinical process for healthcare providers. BD and its 65,000 employees have a passion and commitment to help enhance the safety and efficiency of clinicians' care delivery process, enable laboratory scientists to accurately detect disease and advance researchers' capabilities to develop the next generation of diagnostics and therapeutics. BD has a presence in virtually every country and partners with organizations around the world to address some of the most challenging global health issues. By working in close collaboration with customers,BD can help enhance outcomes, lower costs, increase efficiencies, improve safety and expand access to healthcare. In 2017, BD welcomed C. R. Bard and its products into the BD family. For more information on BD, please visit bd.com.